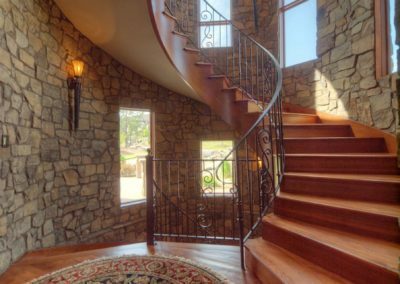 This home melds rich materials with soft, arching lines— resulting in an elegant but cozy feel throughout. 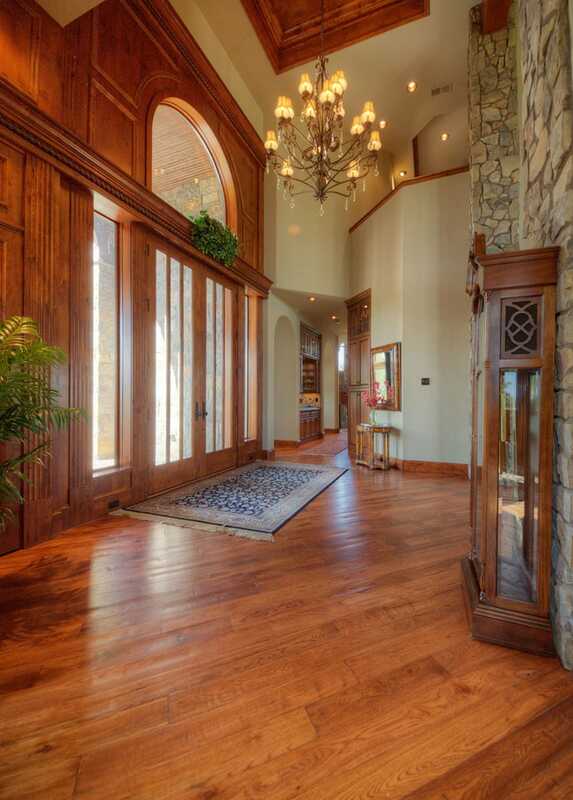 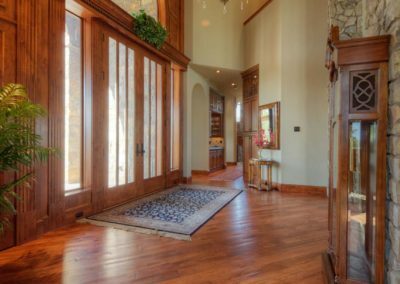 A grand foyer welcomes guests into the home, marked by a vaulted ceiling with wood detail, extensive stonework, wide plank wood floors and large chandelier. 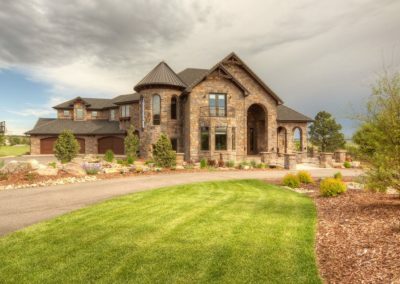 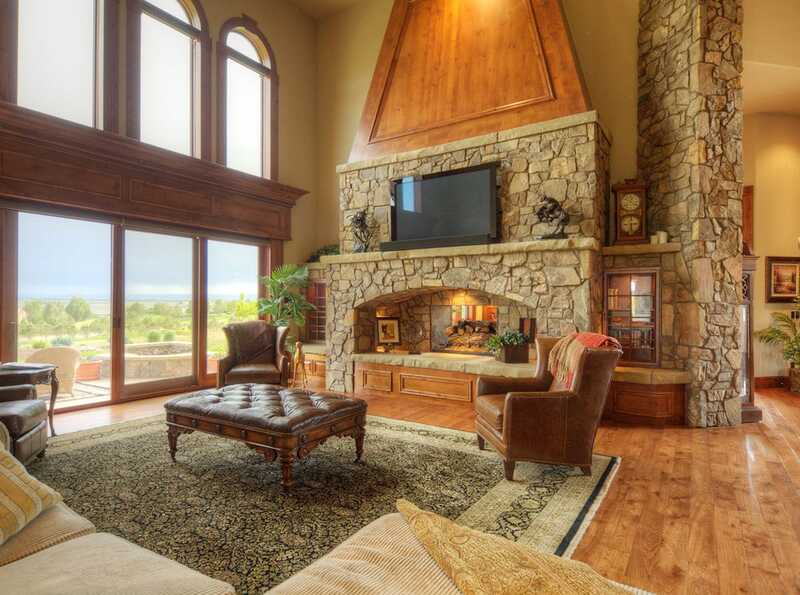 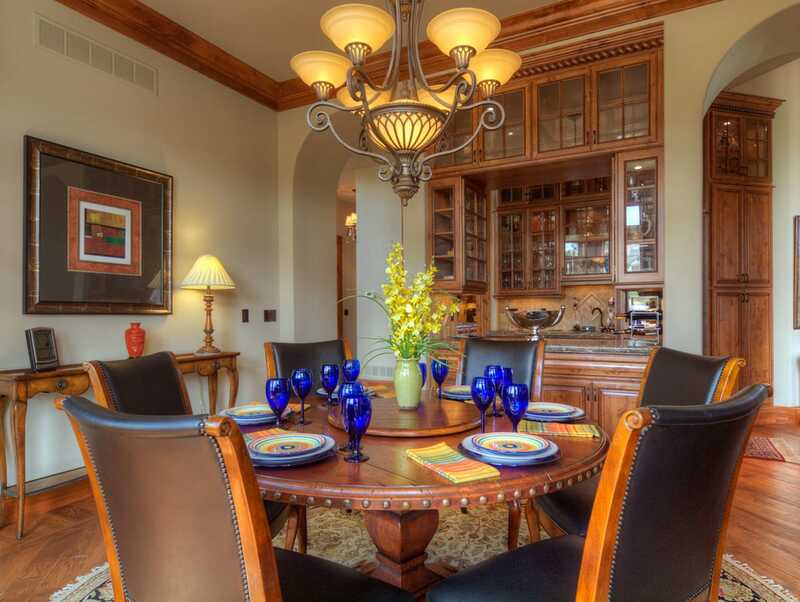 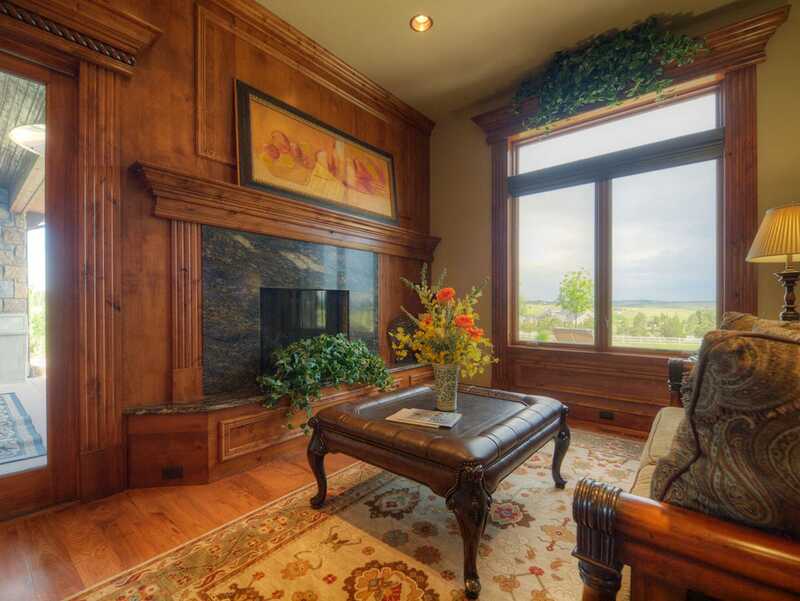 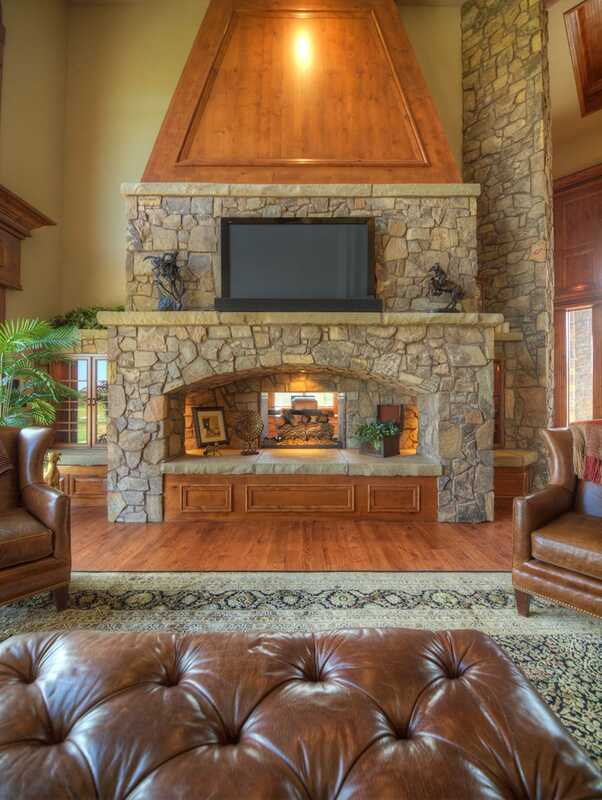 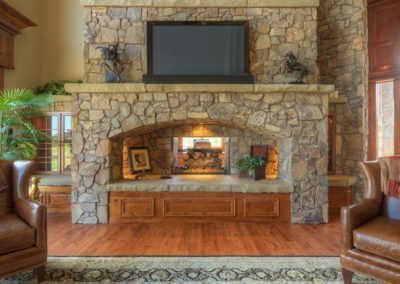 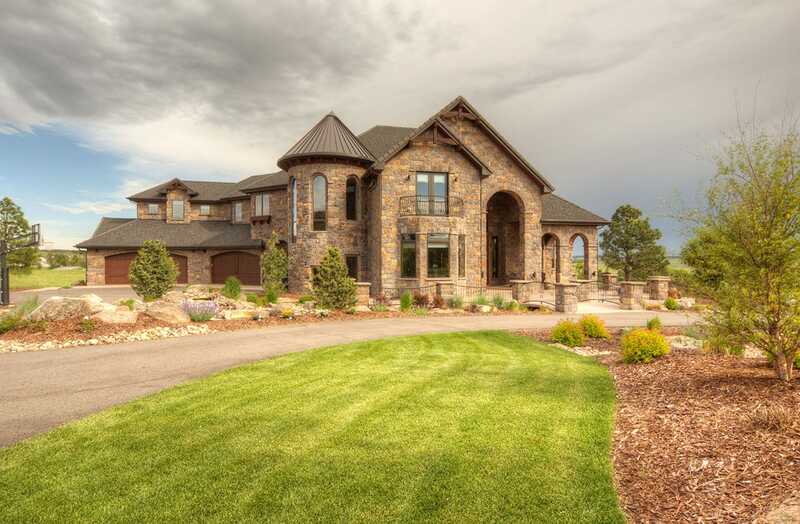 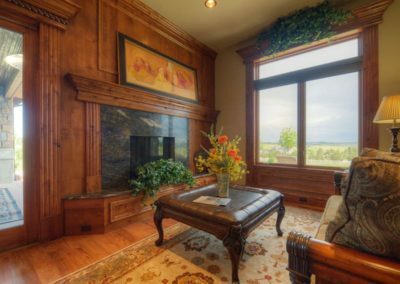 The focal point of this home, however, is the massive, stone fireplace linking the great room to the study. No matter which side you’re sitting on, you’re in the company of floor-to-ceiling windows framing spectacular Colorado views. 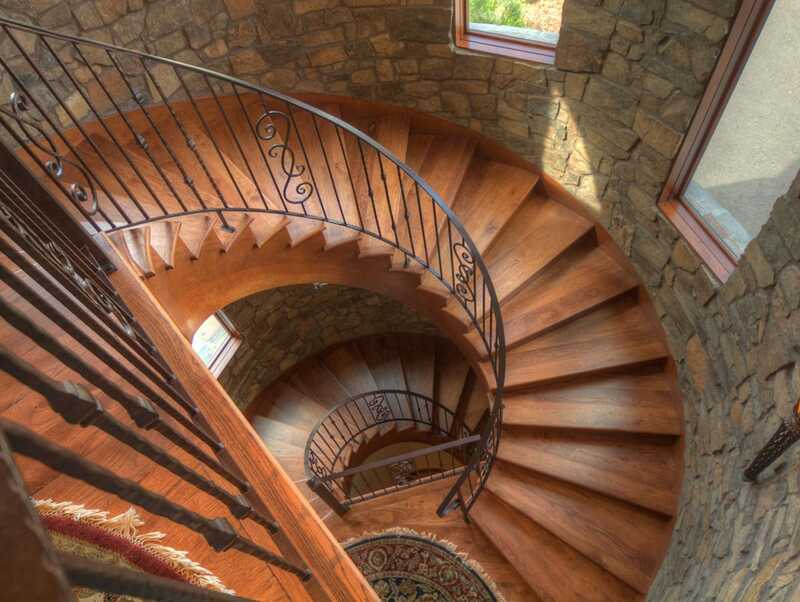 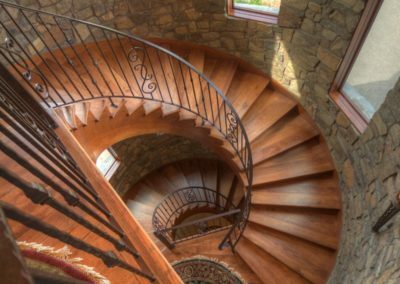 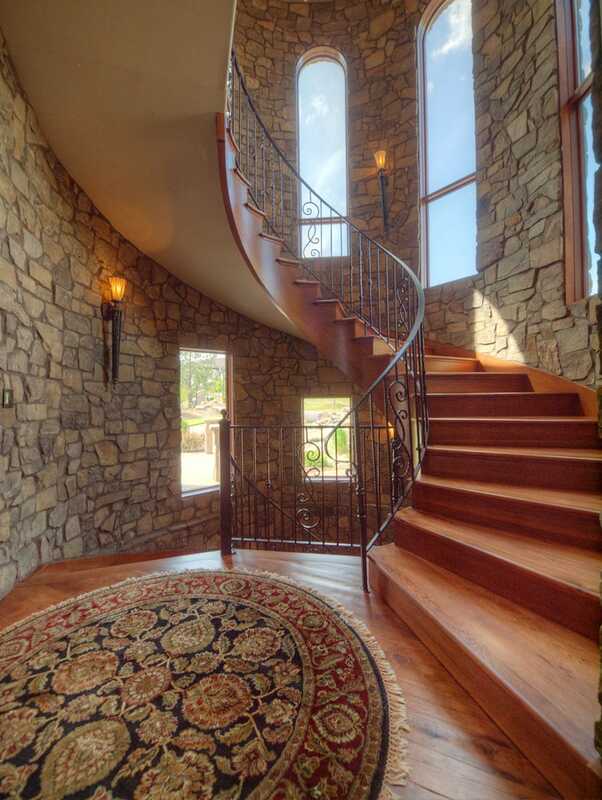 The home also boasts a remarkable circular wood staircase flanked in stone, rising up through the three floors of the home. 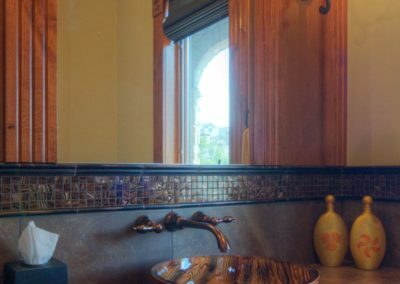 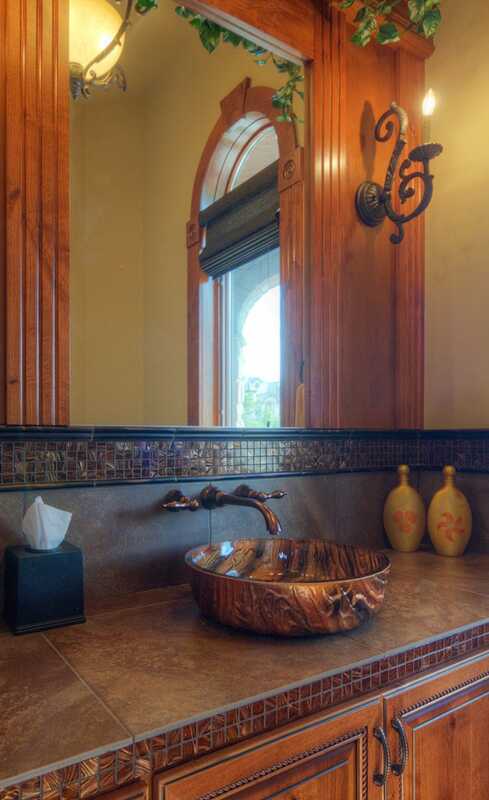 Each bathroom features custom-tile work, wood detail, and hand selected fixtures. 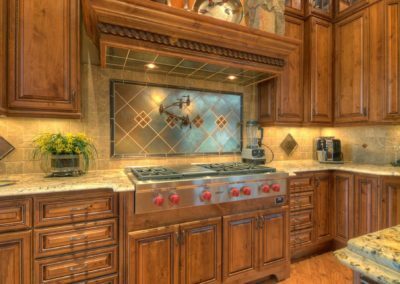 The kitchen is perfect for entertaining friends and family, and is home to a massive kitchen island and top-of-the-line Wolf and Subzero appliances. 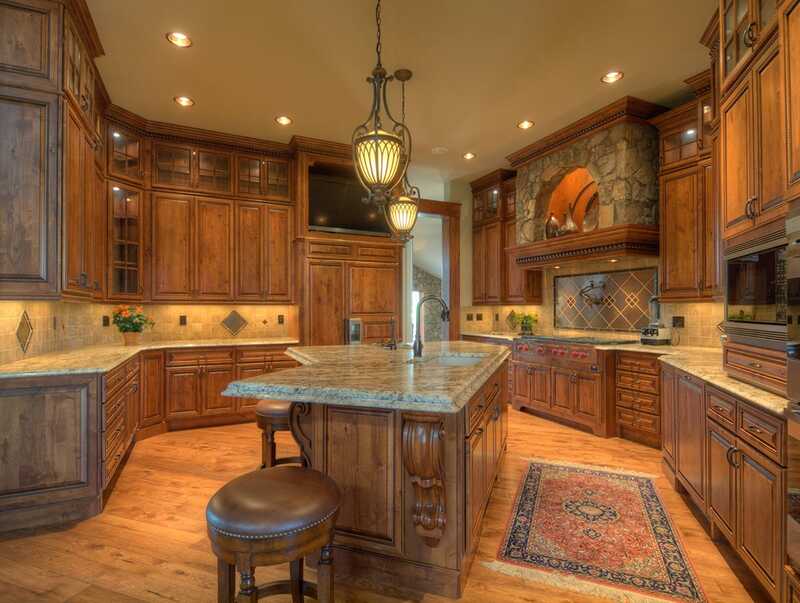 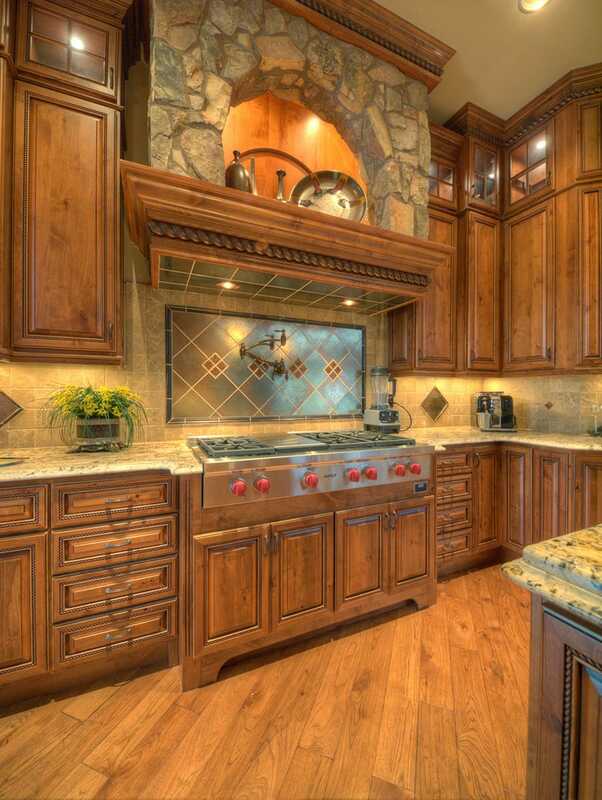 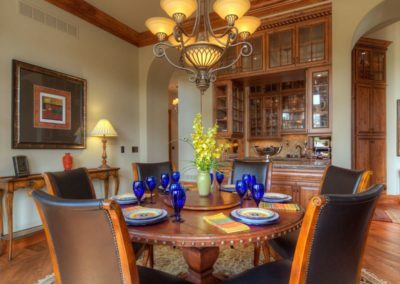 The detailed cabinetry, custom granite countertops and unique backsplash come together to create a one-of-a-kind look and feel that the owners will love for years to come. 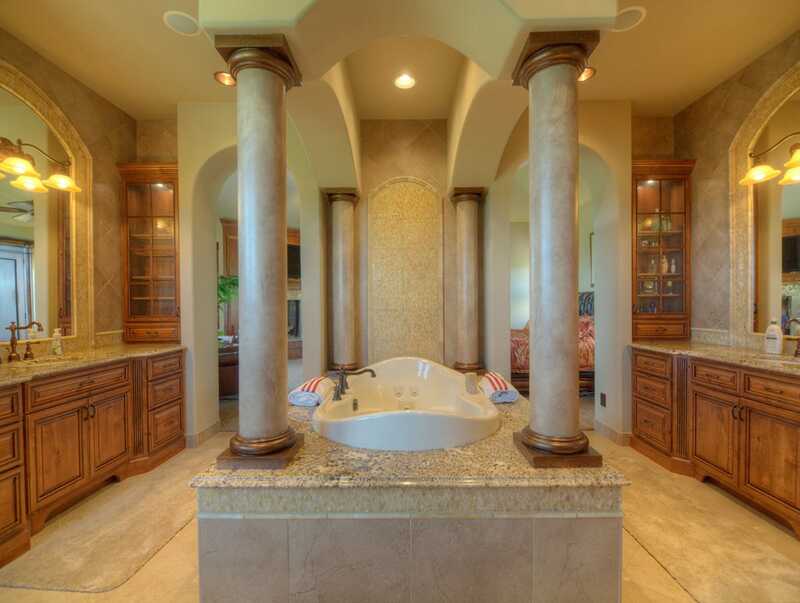 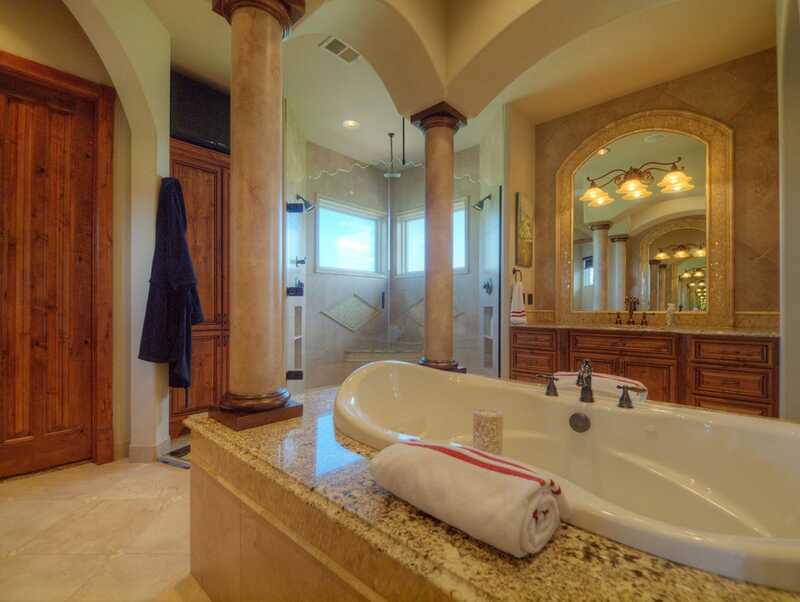 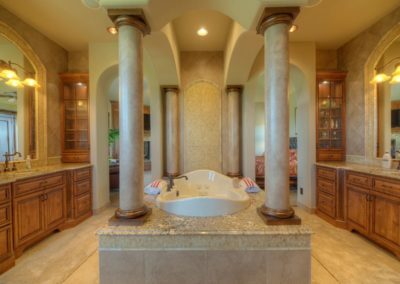 The master bathroom was designed with royalty in mind, and features a spa bath surrounded by beautiful Roman columns. 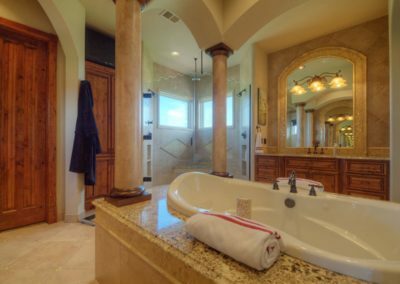 The tub, shower, and dual vanities are all surrounded by elegant mosaic honey colored onyx tile treatments. 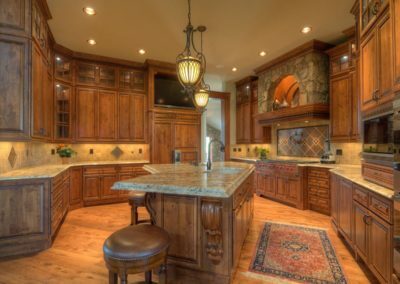 Our boutique, hands-on approach ensures that every detail is met with the highest level of artistry and craftsmanship.